The former leader of the United Kingdom Independence Party said he would be "back on the road", taking part in a battle bus tour by the Leave Means Leave group to oppose Prime Minister Theresa May's Chequers plan. Farage quit the UKIP leadership following victory in the 2016 referendum on Britain's EU membership, claiming his mission was complete. But he said Saturday he was stepping back into the breach to oppose May's Brexit blueprint, calling it a "cowardly sell-out". London and Brussels are yet to reach an agreement on the terms of Britain's exit from the bloc, and lawmakers are split on May's proposals to keep Britain close to the EU on trade -- parts of which have since been rejected by Brussels. "I've had enough of their lies, deceit and treachery. The time has come to teach them a lesson -- one that they will never forget," Farage wrote in The Daily Telegraph newspaper. "Theresa the Appeaser has produced a set of ideas that are nothing more than a cowardly sell-out. "We need a campaign across the country that re-engages voters and restores their faith in Brexit. "Our complacent MPs need to understand just how strongly people feel about being lied to while their wishes are blatantly ignored." The Leave Means Leave group said it would be campaigning across Britain, staging large rallies and ramping up activity on social media. "Since the Chequers betrayal, scores of people have stopped me in the street to ask: 'When are you coming back? '," Farage wrote. "Well now you have your answer: I'm back." Since leaving the UKIP leadership, Farage has hosted a show on talk radio station LBC five days a week and continues to lead the Europe of Freedom and Direct Democracy grouping in the European Parliament. 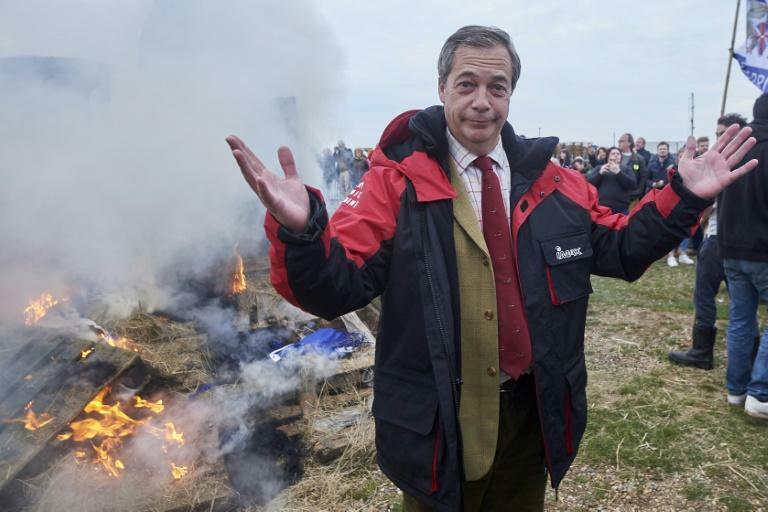 Farage has not indicated whether he hopes to head UKIP again when the current leader Gerard Batten stands down in April.